The inspiration for the Wendelstein came from LOWA's 90+ year heritage of handcrafting mountain boots. 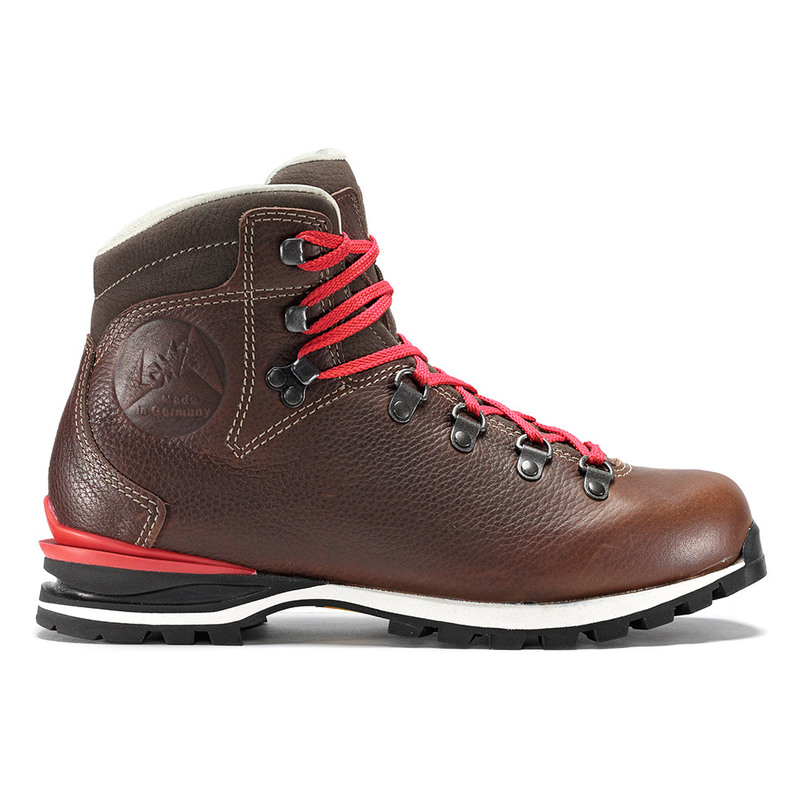 Design touches that are reminiscent of traditional mountain boots, including the red heel welt,embossed retro logo and contrasting red laces, are combined with today's comfort and performance technologies to create a modern classic that's perfect for everyday urban or light trail use. Lined with buttery-soft glove leather that will conform to your foot for a custom fit. LINING: Chrome-free (easier on the environment) glove leather lining.